Later this month, Scout Comics will be releasing the most recent issue of the second part of Long Lost. Though I am definitely a self-proclaimed fangirl when it comes to this series, issue three left me utterly spell bound. The slow burn that has kept this story on my top new comics of 2018 list is starting to turn into an all-out forest fire and let me tell you, I am certainly here for it. If you continue reading, you will find out some extremely exciting news in regards to this series that proves that I am certainly not alone in thinking it’s one of the best new series out there! Issue 3 opens up with Piper still trapped in a strange dimension with a woman claiming to be her long lost mother. The amount of dialogue that goes on between Piper and her mom covers the first half of the book. While the fact that half of this issue is simply dialogue between a mother and daughter may make it seem like an issue with little action, all of the backstory that was revealed in this issue made it one of my favorites thus far. As much as I absolutely have loved the pacing of this series, it was incredibly satisfying to sit there and page by page learn new things that I had wondered about for months. The plot has truly taken another deeper, darker turn as we realize what actually is happening in the small town of Hazel Patch. The mother/daughter dialogue is so emotional and authentic throughout. Matthew Erman has an amazing ability of expertly communicating the developing bond between the two women, as well as the complex feelings of bitterness and anger that Piper is working through and the massive amounts of guilt that her mother is experiencing as a direct result. Some fascinatingly spooky new characters are introduced in the latter half of the book, and though I will certainly not spoil any of the reveal or the fun, I will definitely say they took things to a really exhilarating level and left me on the edge of my seat at the end. For the first half of the book to provide the level of backstory we have been looking forward to and then ending with some serious intense reveals and action packed sequences, I do really think that issue 3 of part two is my favorite issue so far! Once again, Lisa Sterle’s talent of making the most grotesque, creepy subject matter ethereal and captivating shines through. It’s difficult to put into words how stunning yet simplistic the artwork is in this series, because I truly do find it unlike any other comic book that I have read. Her style is unique and the ever changing color palette, though muted, is so effective. In a world where things do tend to get overly designed, overly color saturated, the true beauty of the artwork in Long Lost is anything but fussy. This particular issue begins in a lovely plum hued grayscale, eventually fading into a more green-gray. In the most intense and emotional scenes, colors of peach and pink begin swirling about the panels, adding another level of color before things inevitably grow much more muted and dark toward the end. The overall mood and effect of this issue was captured perfectly, once again a beautiful dance between writer and artist. It has been a distinct honor to get to read this series each month and share my personal opinions on it and even more so to get to meet and interact with the team behind it from time to time, so this next announcement is one where I can seriously barely contain my excitement. 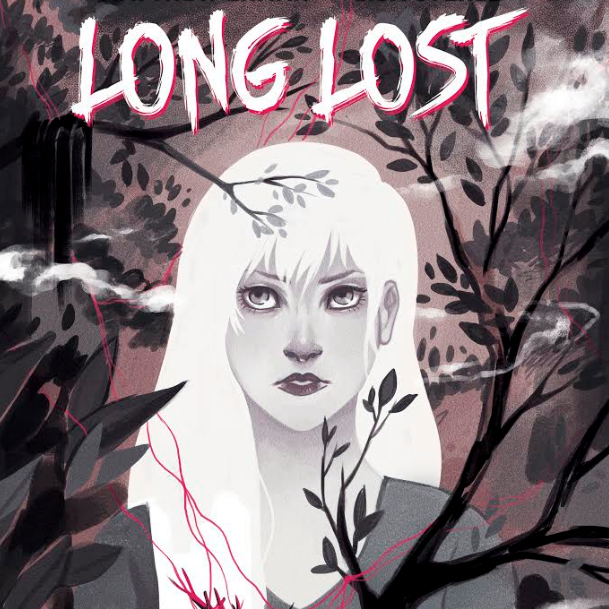 This week, Scout Comics announced in a press release that Long Lost has been optioned for a television series that is now in development with writer/producer Jenny Klein, who has worked on Marvel’s Jessica Jones, Cloak & Dagger and The Witcher working with Long Lost’s creative team. Though absolutely not a surprise to me, as I felt immediately with the very first issue that it had the true makings of a hit in every way, this is huge. I want to extend my personal congratulations to Matthew Erman and Lisa Sterle, on behalf of both myself and the Movie Sleuth on the tremendous job they’re doing as creators and the fact that they are now moving forward with even bigger things now. There is nothing that will brighten my day more than talented indie creators receiving the recognition that they deserve as is the case here. I cannot wait to hear more about the upcoming television series and of course will be looking forward to each new issue of the graphic novel with anticipation. Once again, if you are not reading this book at this point, what are you doing with your life?